Raven Books in Northampton is the quintessential New England used bookstore. Winding stacks of books create a delightful maze that loops in and out of corners. There doesn’t seem to be a square inch of wall that remains unoccupied, and tables of books, live plants, and suspended artifacts makes for a satisfying and unique browsing experience. “It was actually Kris’ idea,” Frederick says looking at manager Kristopher Severy. Brattleboro, Northampton, and Greenfield each have four independent bookstores, and cities and towns throughout Western Mass have at least one new or used bookstore nearby. The American Booksellers Association (ABA), a nonprofit trade association dedicated to the promotion of independent bookstores, reports, “between 2009 and 2015, more than 570 independent bookstores opened in the U.S.” That was a 40 percent increase after more than a decade of decline. It’s now estimated that there are over 2,300 independent bookstores operating in the United States. But it hasn’t been an easy road. 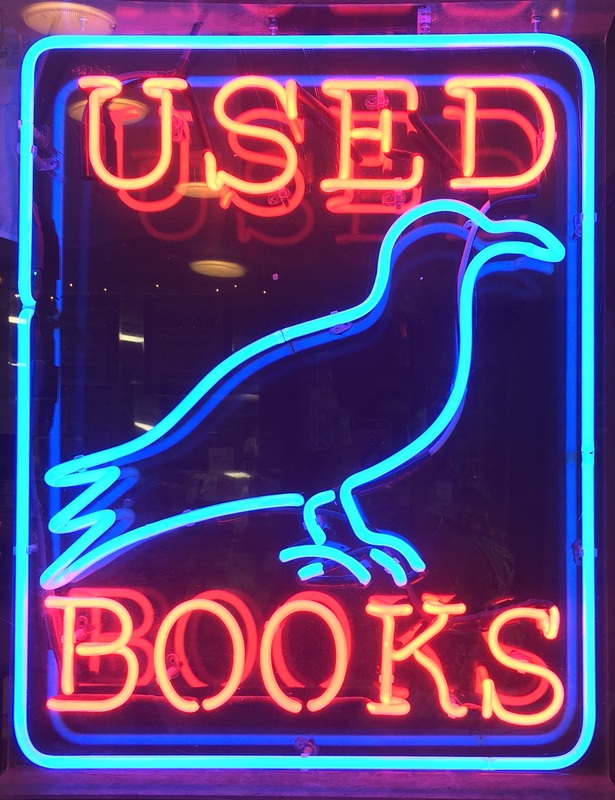 Raven Books, Broadside Books, The Old Bookstore, and those that have been in business for 25 years or more have been tested more than once. 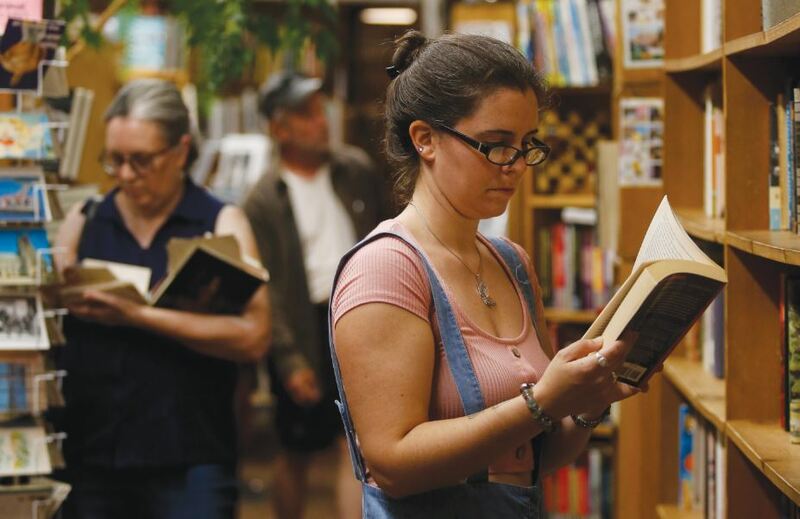 From big box bookstores, Amazon, and e-readers, these, and independent bookstores across the country, have weathered a few storms. The use of e-readers has fallen in stature and one of the last big bookstores, Barnes and Noble is now restructuring after 11 straight years of falling sales. It’s a curious trend, but Severy considers the reasons as to why this may be the case. Barnes and Noble, however, is in the process of redefining their place in the market. According to Forbes Magazine, the retailer, which has lost a larger than expected share of the book market to Amazon and Walmart, will open five new stores in fiscal year 2019. “They will be far smaller than existing locations and will feature fewer non-book entertainment offerings,” Forbes reports. Which means Barnes and Noble will be better able to counter Amazon’s brick and mortar operations. But perhaps more importantly, they will return to basics and once again focus on selling books. Olive Tree is a converted seven-room brick and white vinyl sided house that sits on a stretch of Hancock Street that is zoned for mixed use residential and commercial buildings. Mason Square’s population is predominantly African-American; it sits just northeast of the city’s metro center. It’s a hardscrabble neighborhood and struggles with its fair share of blight and generational poverty. But the community is tight and there are many who are dedicated to championing the people and the culture. Olive Tree proprietor Zee Johnson is one of those champions. Johnson is sweet and affable, but there’s a hint of no-nonsense in her demeanor. On a Saturday afternoon, she sports a pale yellow V-neck with the name of her store and sits politely behind the cash wrap. She smiles warmly when customers enter. Walking into Olive Tree is like walking into someone’s home. There’s the soft smell of scented candles, and local radio programming serves as ambient noise. Johnson herself presents more like a beloved aunt than a store owner. But the cheerful goldenrod walls at Olive Tree are covered with merchandise rather than personal effects. 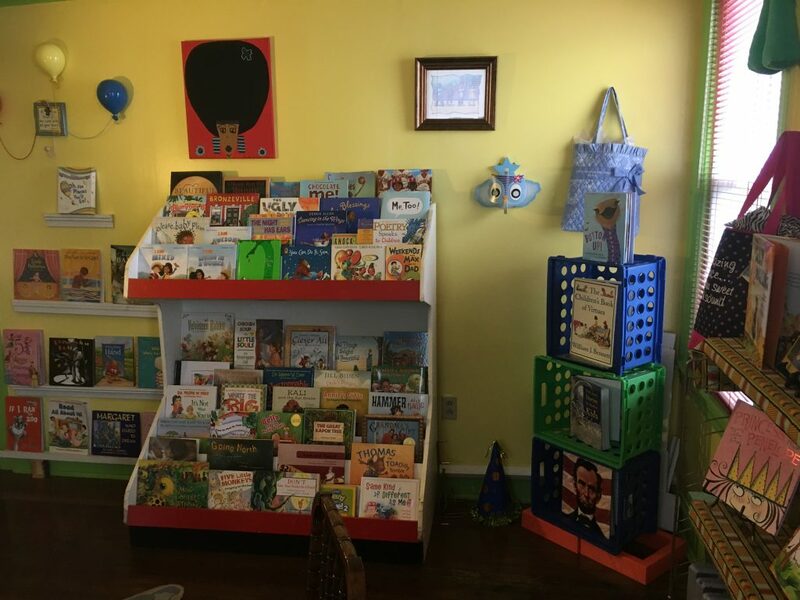 Johnson says there are over 500 titles in her store, and the plethora of front-facing Afrocentric books and peripherals leave little doubt as to the niche her bookstore fills. Olive Tree Books-n-Voices and Red Brick Books are the only two independent bookstores in the city of Springfield. Olive Tree, however, is the only bookstore that caters to African-Americans in the Pioneer Valley. This distinction is not lost on her patrons. In her 14th year in business, Johnson, like many other independent bookstore owners in the Valley, recognizes the need and importance for communal spaces, and she considers herself more than just a bookseller. Indeed, Johnson’s statement summarizes the decades long war between big box bookstores and independent bookstores, for independent bookstores are the cultural antitheses of corporations like Barnes and Noble. That’s not to say these big box bookstores didn’t have an allure. As a child in the 1970s growing up in Cleveland, I remember the epic rise of urban sprawl, shopping malls and bookselling giants. Once thriving downtown businesses were shunned, bigger was becoming better, and by the 1980s, any hint of provincialism was unacceptable at best and derided at worst. For the first time in my life, disparate ethnic neighborhoods throughout the city were forced to shop together. And Randall Park Mall (which for a time was the biggest mall in the world) afforded a large swath of Greater Clevelanders the chance to shop under the skylight of a hermetic indoor downtown main street, complete with trees, brick flooring, fountains, and playgrounds. Besides ubiquitous storefronts like Orange Julius, Radio Shack, and Hickory Farms (of Ohio), Waldenbooks and B. Dalton Booksellers became the neighborhood bookstores. And in the wake of our shifting loyalties, the number of independent bookstores declined precipitously. In 1995, independent booksellers were dealt another blow when Amazon opened its virtual doors. The “Earth’s biggest bookstore” boasted on its primitive landing page: “One million titles, consistently low prices.” The American Booksellers Association reports the number of independent booksellers fell 40 percent in five years as people opted to do to their book shopping online. But something interesting happened in 2007: The digital e-book — in particular Amazon’s Kindle — was launched, and although analysts predicted the demise of the printed word, they were in for a surprise. The Association of American Publishers cited a decline in e-reader sales of nearly 20 percent over the first nine months of 2016, But more compelling is that although bookselling superstores like Borders (which closed in 2011) fell victim to consumer vagaries, independent bookstores began gaining ground. Roxie Mack is an owner of Broadside Books on Main Street in Northampton. Broadside deals only in new books, but her experience with the advent of e-readers was similar to Frederick’s. That’s not to say some businesses weren’t affected significantly by these changes. Jessica Mullins, owner of World Eye Bookstore in Greenfield saw her sales drop 18 percent between 2015 and 2016. She was forced to downsize her store in order to stay open. Mullen chose to combine World Eye Bookstore with Magical Child Toy Store, and although she lost quite a bit of square footage, she’s managed to keep the doors open. World Eye remains Greenfield’s only independent new bookshop. Although the ABA’s report on the surge in the number of independent bookstores came as a surprise to most of the independent booksellers I spoke to, there was unanimous consensus as to why independent bookstores survive. Harvard Business School professor Ryan Raffaelli is studying the resurgence of independent bookstores in the U.S.
On a Sunday afternoon, the windows of Mystery on Main Street are reminiscent of Halloween: A skeleton dressed as the Grim Reaper and a Ouija Board are just two of the props that welcome visitors. The kitschy window display, however, belies Wilson’s savvy curation and the store’s impeccable layout. And although Wilson is bemused by reports of a surging increase in independent bookstore business, his bookstore is in its 12th year and is holding steady. 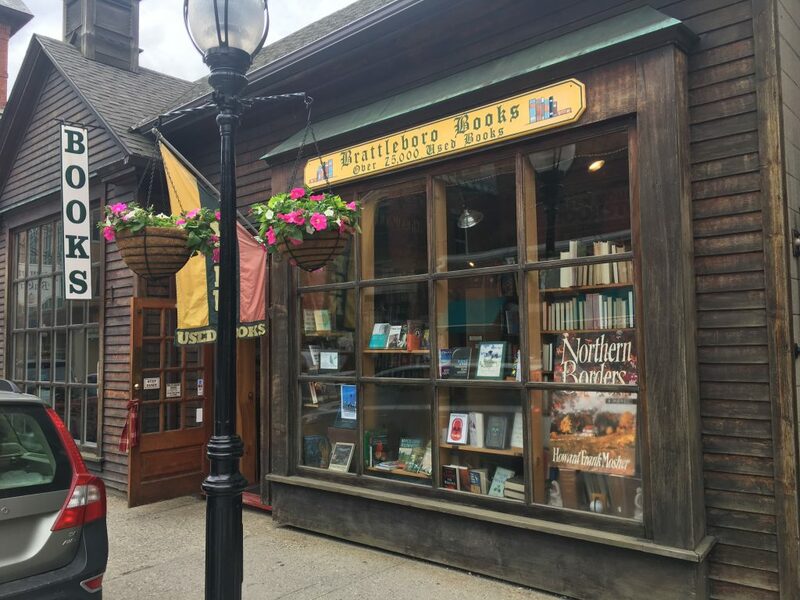 The exclusivity of Mystery’s genre has landed the bookshop on the list of “One of the Best Independent Bookstores in New England” by Yankee Magazine. It’s also a testament to the power of carving out a well-themed niche. Like Johnson’s Olive Tree Books-n-Voices, Wilson’s inventory reflects his personal interests. Raven Books owner Frederick, however, credits variety as a key factor in its survival. 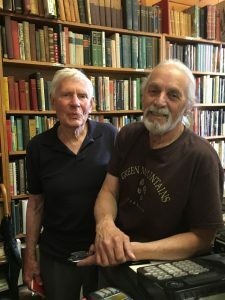 Henry Walz, owner of The Old Bookstore in Northampton, explains why two such differing models can both succeed. That camaraderie and cooperation is highly prized, especially when, in a small city like Northampton, four stores may share the same small pool of customers. Brattleboro’s independent bookstores share limited real estate, as well. Everyone’s Books, Brattleboro Books, Mystery on Main Street, and Baskets Bookstore are, in some cases, feet from each other, but all of them are holding their own. Nancy Braus of Everyone’s Books is excited about the surge in numbers. 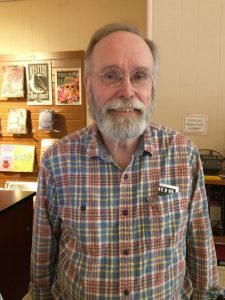 However, Michael Tenney, owner of Brattleboro Books which sits directly across the street, questions whether independent bookstores are truly on the upswing. “I’ve been in business for 25 years, I’ve owned a new bookstore and I’ve owned a used bookstore,” Tenney says. When asked which he prefers, without hesitation he declares used books his favorite. Bookstores that deal new titles, however, offer other perks. The Odyssey Bookshop in South Hadley hosts over 125 author events every year. They also have the First Editions Club through which members receive a signed first printing of a newly published book. The experience Mack speaks of is the taking part in a gathering and being part of a wider community. Indeed, community is at the heart of the success of an independent bookstore. Both Broadside Books and The Odyssey are heavily involved in their surrounding communities. Nancy Braus says Everyone’s Books, which also deals in new books, had its beginnings as a place to service the community. In 1984 they opened the space to be used by activists; it eventually evolved into a bookstore. 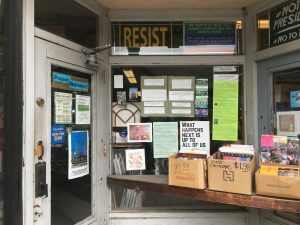 Certainly local appeal and community access are keys to the thriving body of independent bookstores in this part of the world. Where big box bookstores failed, small booksellers continued to do what they do best: serve their communities. 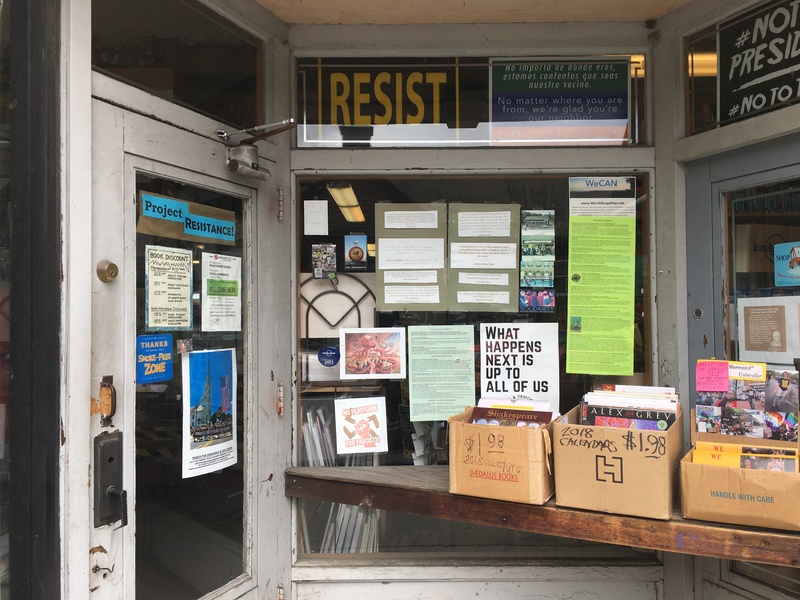 Independent bookstores are also reflections of their local communities; they connect with customers on a personal level, and purchasing a book becomes an act of community-building and civic investment. Back in Springfield, Leo Foster tells me about his promise to a fifth grade class to buy each of them one book from Zee Johnson’s Olive Tree Books-n-Voices if they stopped by. Amherst Books – New and Used: 8 Main St.
Brattleboro Books – Used Books: 36 Elliot St.
Everyone’s Books – New Books: 25 Elliot St.
Mystery on Main Street – New Books: 119 Main St.
White Square – Fine Books and Art: 86 Cottage St.
Bookends – Used: 80 Maple St.
Federal Street Books – Used: 8 Federal St.
John Doe, Jr. – Used Records and Books: 269 Main St.
Roundabout Books – Used: 26 Kenwood St.
World Eye Bookshop – New: 134 Main St.
Grey Matter Books – Used: 47 East St.
Troubadour Books – Used and Rare: 47 East St.
Montague Bookmill – Used: 440 Greenfield Rd. Booklink Booksellers – New and Gifts: 150 Main St. 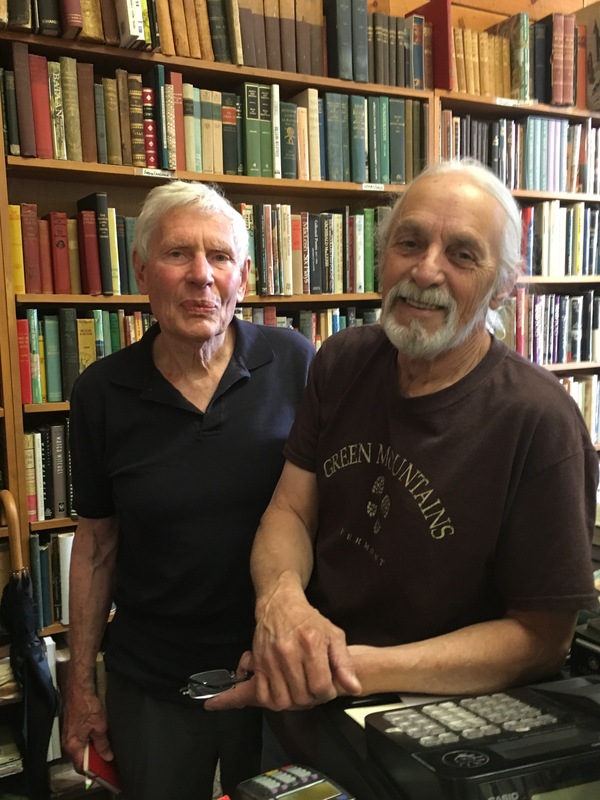 Broadside Bookshop – New: 247 Main St.
Gabriel Books – Antiquarian: 21 Market St. 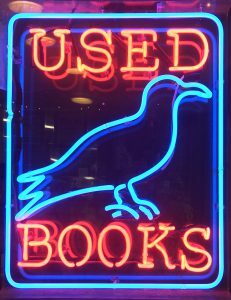 The Old Bookstore – Used: 32 Masonic St.
Raven – Used Books: 4 Old South St.
Boswell’s Books – Used and New: 10 Bridge St.
Nancey L. Dole – Used and Ephemera: 20 State St.
Shelburne Falls Book Sellers – Used: 1 Deerfield Ave.
Schoen Books – Used Judaica: 7 Sugarloaf St. The Odyssey Bookshop – New and Used: 9 College St.
Olive Tree Books-n-Voices – 97 Hancock St.
Red Brick Books – Used: 97 Page Blvd. Blue Umbrella Books – Used and New: 2 Main St.
Quaboag Book Shop – Used, rare and out of print titles: 80 W. Main St.